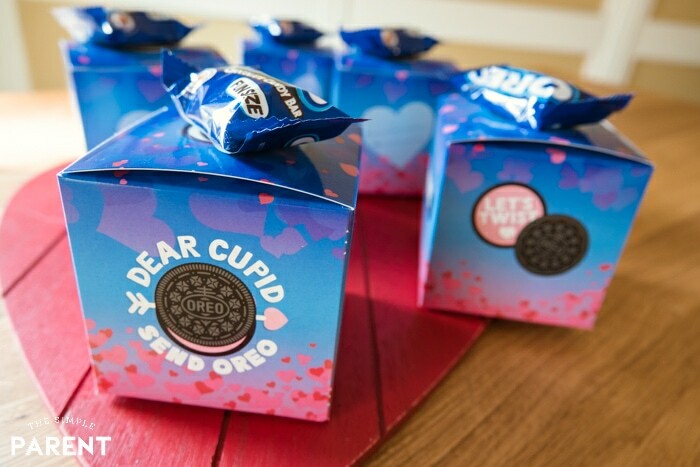 How OREO Valentine’s Day Exchange Kit Makes Valentines Easy! This post is sponsored by BabbleBoxx.com on behalf of OREO. 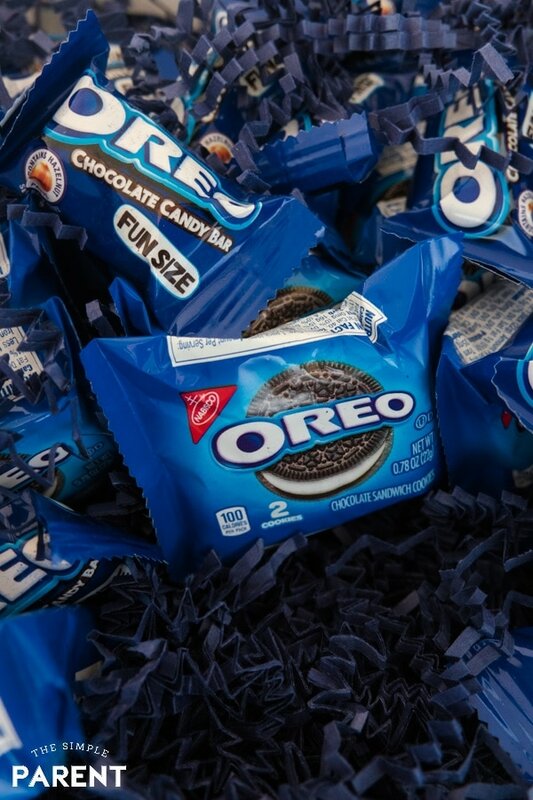 Celebrate this Valentine’s Day with OREO! 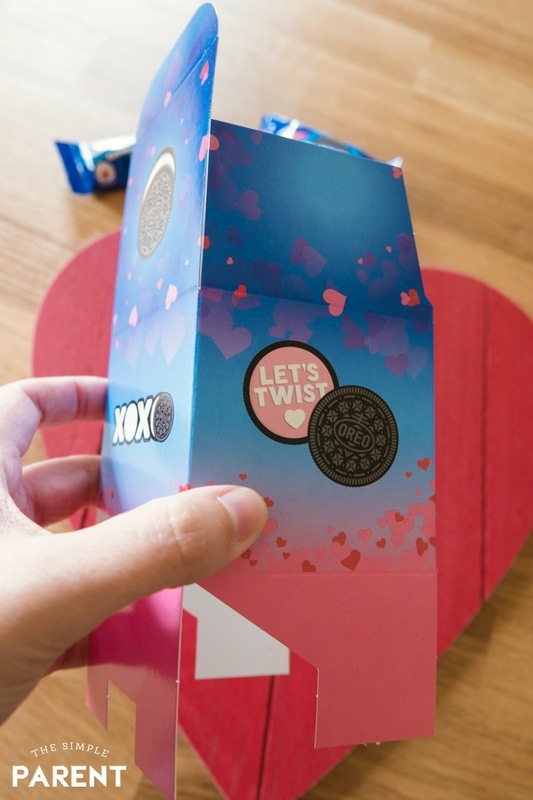 With help from the OREO Valentine’s Day Exchange Kit you can put together the perfect exchange boxes for your family, friends, or party! And do it the easy way! My kids love their Valentine’s Day parties. They also get into the spirit of exchanging Valentine cards everywhere they go, including dance class, baseball practice, and the cul-de-sac. Once they start exchanging Valentines it’s all they want to do! I’d love to be one of those parents who comes up with elaborate Valentine exchange cards, but over the past few years, I’ve learned a bit about myself and about my kids. I like our valentine gift cards to be easy. They like their Valentine gift cards to include a treat. Whether it’s candy, cookies, or a little toy, if it has a treat of some kind attached then they love their Valentine cards! 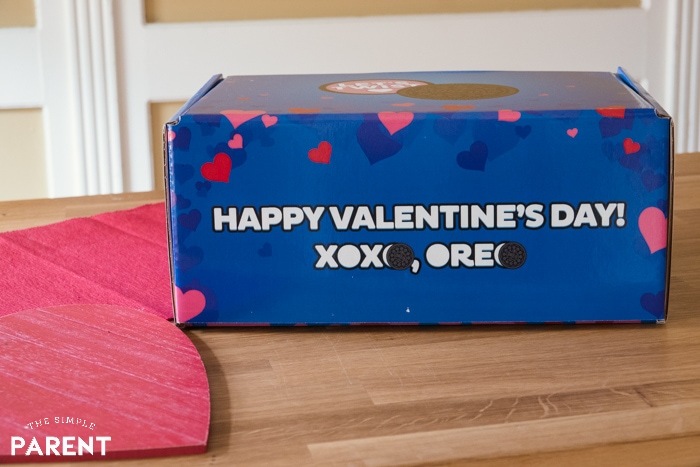 This year OREO is making it easy for us to meet both requirements with the OREO Valentine’s Day Exchange Kit! The kit includes supplies to make 25 Valentine exchange boxes which makes them perfect for parties. That’s enough to cover all of their friends with only one kit! I can appreciate that! 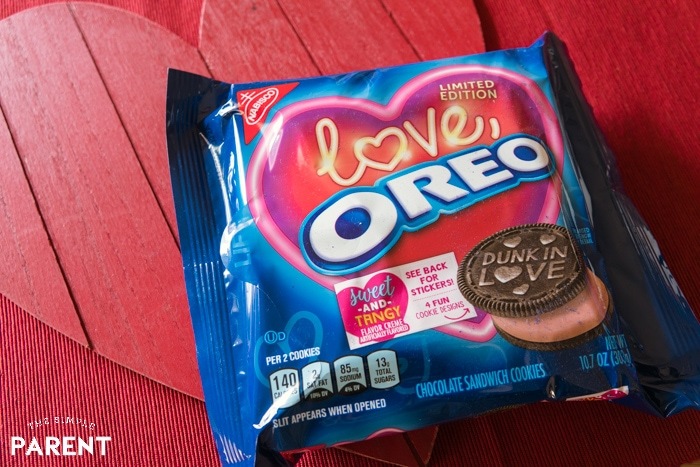 It also includes the LIMITED EDITION Love OREO cookies! Have you tried them yet? They’re AMAZING. They have a sweet and tangy flavored creme that is so tasty. It’s pink too! So perfect for Valentine’s Day! The pack also features fun peel and play stickers! 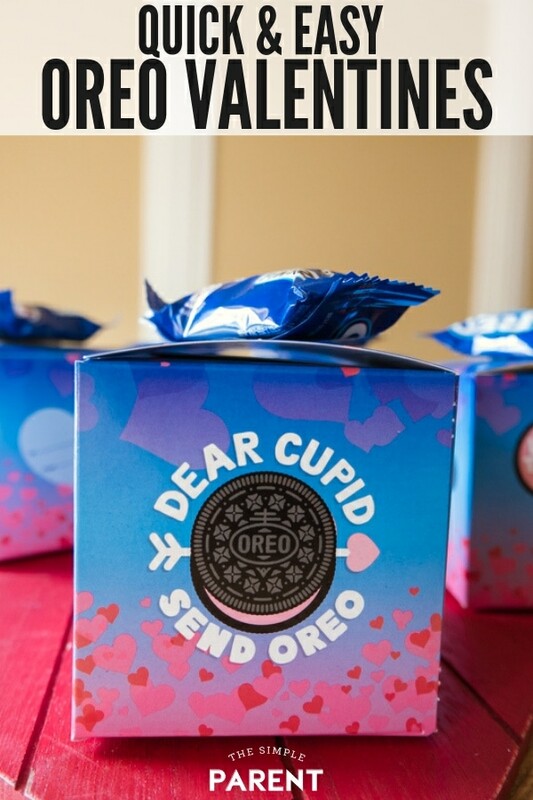 They’re perfect for enjoying while you put together the easy OREO Valentine Day’s exchange boxes! I love how easy it is to make the exchange boxes with the OREO Valentine’s Day Exchange Set! It has everything you need to prepare for your child’s Valentine’s Day party! You get great looking Valentine “cards” in three simple steps! 1. Assemble the collapsible exchange boxes. 2. Fill with a single serve pack of OREO cookies. Each package includes two cookies. 3. Then top the box with a fun size Milka OREO Chocolate Candy bar. Do that 24 more times and you’ve got some of the cutest Valentine cards around full of OREO cookies! You really can’t go wrong! So if you’re looking for an easy solution to Valentine’s Day party treats this year, the OREO Valentine’s Day Exchange Kit is here to rescue all of us! 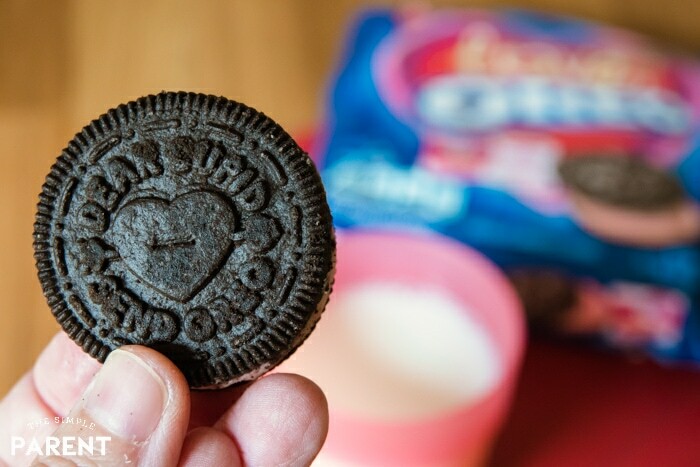 Plus, it comes with OREO cookies for us to enjoy while we put together those Valentine goodies for the kids! It’s a win-win for all of us! It’s a great way to spend time together this Valentine’s Day! Making memories together while making special treats to share with their friends! That’s what Valentine’s Day should be about — all the important people in our lives! 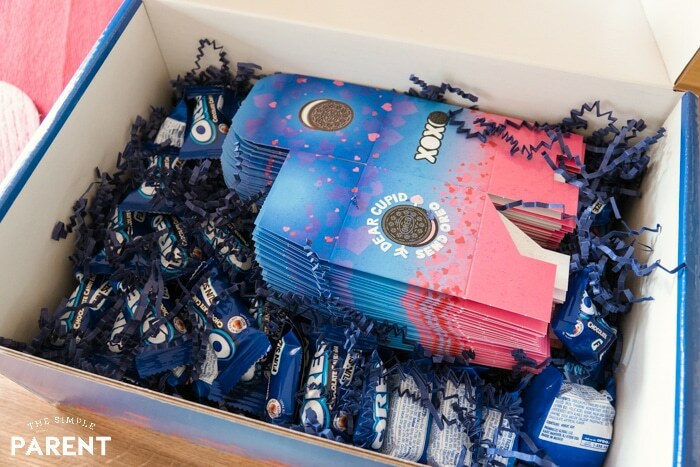 Get your OREO Valentine’s Day Exchange Kit and you’ll be ready for this year’s Valentine’s Day party! « The Easiest Laundry System = Time & Money Saved!